Located in El Poblado, this luxury hotel is within a 10-minute walk of Poblado Park and Lleras Park. Santa Fe Mall is 0.8 mi (1.2 km) away. Poblado Station is 17 minutes by foot and Aguacatala Station is 30 minutes. 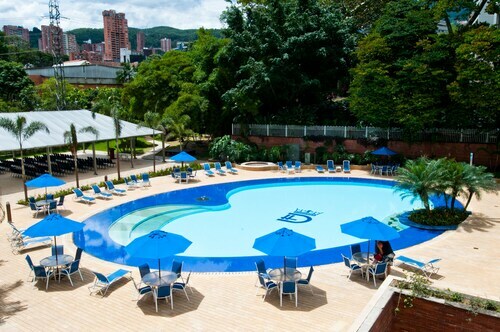 Located in El Poblado, this luxury hotel is within 1 mi (2 km) of Golden Mile, Santa Fe Mall, and Lleras Park. Oviedo Mall and La Strada Mall are also within 10 minutes. Aguacatala Station is 18 minutes by foot and Poblado Station is 30 minutes. 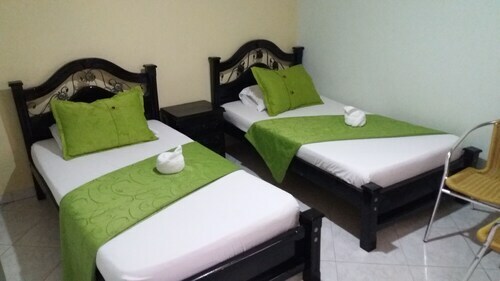 Located near the airport, this family-friendly hotel is within 9 mi (15 km) of Llanogrande Mall Shopping Center, San Nicolas Mall, and Recreational Park Comfama Tutucán. El Retiro Park and Catholic University of the East are also within 9 mi (15 km). 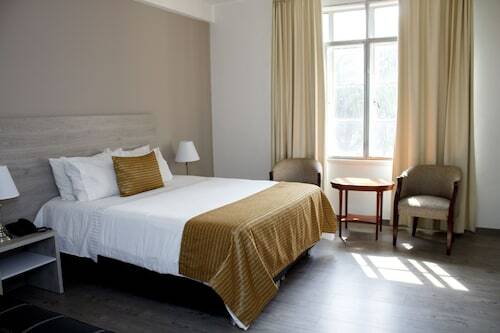 Located in El Poblado, this hotel is within a 15-minute walk of Poblado Park and Lleras Park. Santa Fe Mall is 1.4 mi (2.2 km) away. Poblado Station is 17 minutes by foot. Situated in Itagui, this hotel is 0.4 mi (0.6 km) from Chimeneas Park and within 3 mi (5 km) of Santa Fe Mall and Lleras Park. EAFIT University and Oviedo Mall are also within 3 mi (5 km). Ayura Station is 14 minutes by foot and Aguacatala Station is 22 minutes. Located in La Candelaria, this hotel is 0.4 mi (0.7 km) from San Antonio Park and within 3 mi (5 km) of University of Antioquia and Lleras Park. Park of Lights and National Palace are also within 15 minutes. San Antonio Station is 9 minutes by foot and Alpujarra Station is 11 minutes. 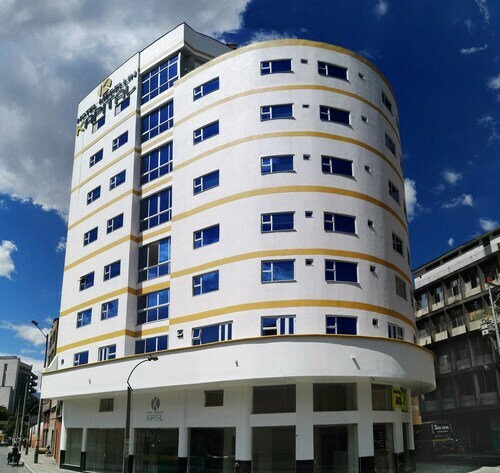 Located in La Candelaria, this hotel is 0.5 mi (0.8 km) from La Gorda Sculpture and 1.5 mi (2.4 km) from University of Antioquia. Botero Plaza and National Palace are also within 15 minutes. Cisneros Station is 7 minutes by foot and Parque Berrio Station is 12 minutes. Located in El Poblado, this hotel is within 2 mi (3 km) of El Tesoro Shopping Park, Lleras Park, and Santa Fe Mall. Lokkus Contemporary Art and La Strada Mall are also within 2 mi (3 km). 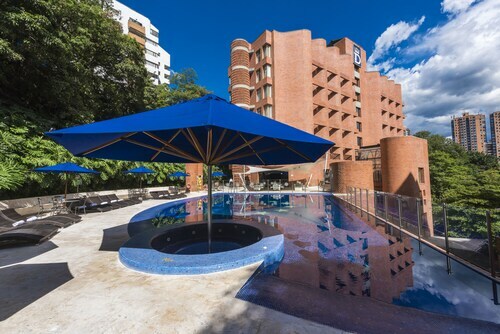 Located in El Poblado, this luxury hotel is within 1 mi (2 km) of Lokkus Contemporary Art, Lleras Park, and Santa Fe Mall. Poblado Park and La Strada Mall are also within 1 mi (2 km). Poblado Station is 17 minutes by foot. 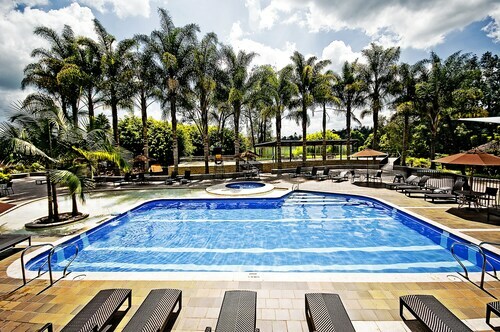 Located in Laureles, this spa hotel is 1.2 mi (1.9 km) from Atanasio Giradot Stadium and within 3 mi (5 km) of Plaza Mayor Covention Center and Park of Lights. San Antonio Park and Botero Plaza are also within 3 mi (5 km). Estadio Station is 20 minutes by foot and Floresta Station is 22 minutes. 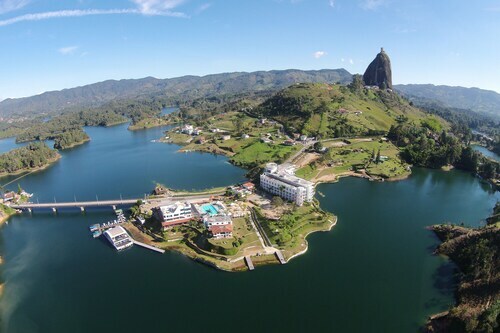 How Much is a Hotel Room in Medellin? 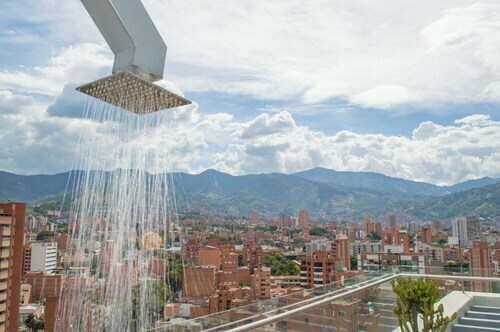 Hotels in Medellin start at $16 per night. Prices and availability subject to change. Additional terms may apply. 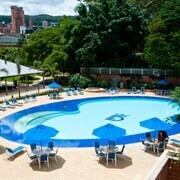 Travelers to Andino can discover a wide range of hotel options to select from in Medellin. With the help of our handy hotel guide, travelers can find 121 apartments and hotels within 6 miles (10 kilometers) of Medellin's downtown region. 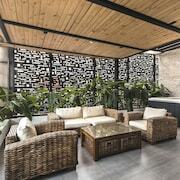 Picking up your home away from home right in the middle of Medellin has never been so easy. 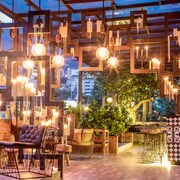 Travelocity's easy to use accommodation guide covers the Solar Hotel Casa Laureles and Hotel Belen Plaza, which await your arrival within a radius of 0.6-mile (1-kilometer) of Medellin's heart. The area surrounding El Poblado, a popular hotel district in Medellin, is an ideal base due to its 64 Travelocity-listed places to stay. 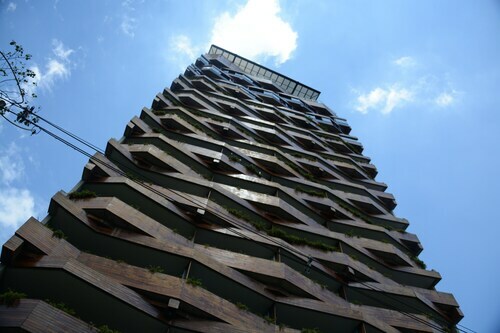 El Poblado is situated 3 miles (5 kilometers) from downtown Medellin and is up there with the most prominent hotel neighborhoods. 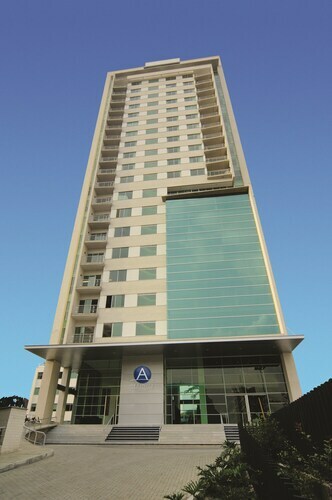 Some popular hotel establishments in El Poblado are the The Charlee Hotel and Affinity Aparta Hotel. 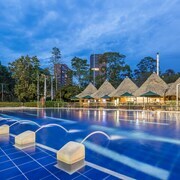 Another area popular with travelers exploring the city is Laureles, which is another Medellin hotel precinct that is around 0.5 miles (0.7 kilometers) from Medellin's downtown area. The Mediterráneo Hotel and Sol de Laureles Casa Hotel are only some of 23 hotels in Laureles. Or perhaps you are looking to find some accommodation in La Candelaria, Estadio or Itagui? There are presently beds in each area on the Travelocity extensive database. Hotel Nutibara and Gran Hotel presently have vacancies in La Candelaria. 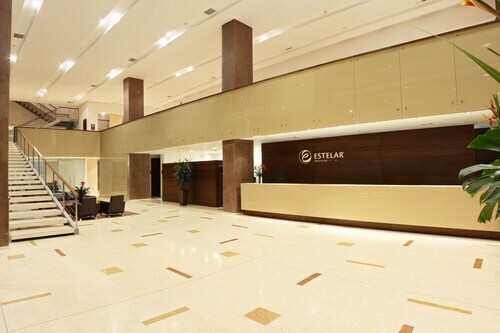 Alternatively, Estadio's Travelocity listed hotels include the Hotel Tryp Medellin and Hotel Estadio Real. 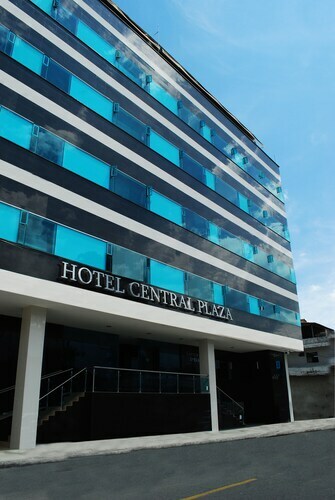 In Itagui visitors can make a selection between Hotel Central Plaza and Hotel Alcaraván. If you and your friends are feeling inspired to visit Medellin and want to check out the Palacio de la Cultura, the Park of Lights and the Botero Square Sculpture Park, why not stay close by? The GHL Style Hotel San Diego and also the Hotel El Portón de San Joaquín are an easy walk from the Palacio de la Cultura. The GHL Style Hotel San Diego is a convenient 1 mile (2 kilometers) from the well-known Palacio de la Cultura, or if you prefer, the Hotel El Portón de San Joaquín is situated 1 mile (2 kilometers) away. Two accommodation options that are positioned close to the Park of Lights are the Hotel San Pedro del Fuerte and also the Hotel Lincoln. 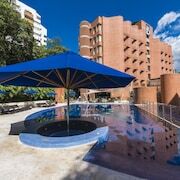 And finally, the Hotel Cabo De La Vela and also the Hotel Quinta Avenida are advantageous accommodation choices for those looking to lodge close to the Botero Square Sculpture Park. The Hotel Cabo De La Vela is only 2 miles (2 kilometers) walking distance away while the Hotel Quinta Avenida is 1 mile (2 kilometers) away. Located 12 miles (20 kilometers) outside the middle of Medellin is Jose Maria Cordova International Airport. Base yourself nearby at Movich Hotel Las Lomas or Hotel Llanogrande Inn. All staff including front desk were great, from storing my luggage to laundry service. I was very happy with them. The room was very comfortable and very clean, that bed was just what i needed, crisp clean sheets. The only items i didnt like was when i first got to the hotel, i went to use the restroom on the main floor. There was no toilet paper in any of the stalls, no soap.or anyway to wash and dry my hands. Outside the restroom, i saw a toilet paper dispenser for 200cop. Not what i expect from a nicer hotel. Not really a positive experience or sanitary. Overall, a good experince, the staff and room were the high points. 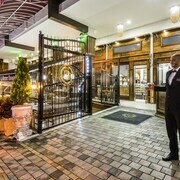 Beautiful hotel, excellent service. Definitely a top resort to visit again. excelent location,, great experience!!! I will stay there again and again! The room is great it's like a nice apartment and they are very kind there! I have stayed there multiple times that I have traveled to Medellin. John M.
Great location. Nice pool mini bar stocked nicely. Room service great as well.